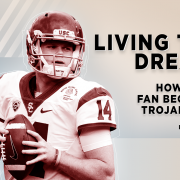 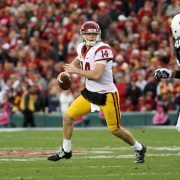 Even now, as he trains to take his team to a national championship, star quarterback Sam Darnold remains the same little boy who dreamed of throwing passes in the NFL. 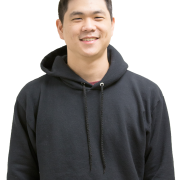 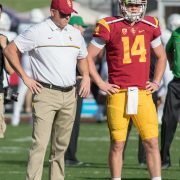 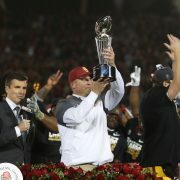 The quarterback and coach led USC to its Rose Bowl-winning 2016-17 season. 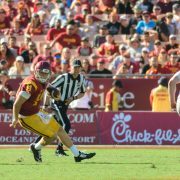 The redshirt freshman grew into the spotlight throughout this season. 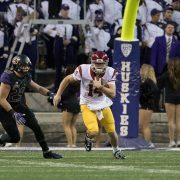 The redshirt freshman won USC’s first Pac-12 Player of the Week award this season. 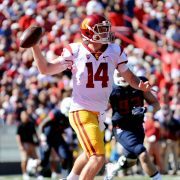 The redshirt freshman put together yet another strong outing Saturday in Arizona. 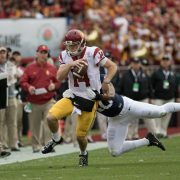 Practicing scramble drills has helped the quarterback escape pressure in games.